PeruTourism offers costume trips to Peru, Cusco, Machu Picchu, Lake Titicaca, and the Amazon Jungle, within other destinations. We can provide you with permanent assistance, personalized itineraries, and the best service for your dream travel, in a friendly and easy way. Based on our 35 years of experience, in this website we suggest to you some interesting and exciting trip itineraries, This is just a kick start guide to personalize each program or any other resquest you have according to your expectations. ¡Let us show you the Magic of Peru the way you deserve! 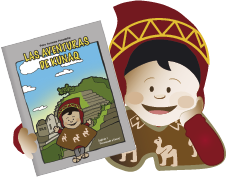 Read the e-book with my adventures in the most beautiful places of Peru free!